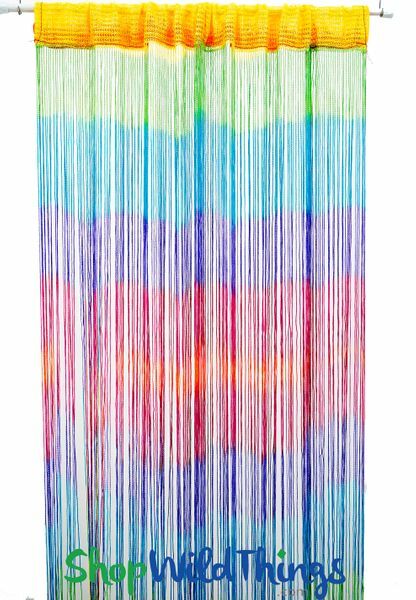 For those of us who love an assortment of color, crave variety and want instant pop, our Tie Dye String Curtain which comes with a Tension Rod displays a rainbow of spectacular shades right out of the box - ready to color your world! This fabric fringe curtain is polyester and measures 37" wide by 76" long. There are 230 strands that are 74" long and with the 2" deep rod pocket, the total length is 6.3". Soft, bright and just waiting to be the centerpiece of your next party, another great feature is that this curtain comes with its own tension rod which expands from 24" to 45" so you can scrunch the panel together for a denser look or spread it out to the full 37". It only weighs 8 oz. so the possible areas to hang this are limitless! Use Magnet Hooks to hang the rod from drop ceiling grids and metal doorways or use Hanging Hooks for pipe and drape hardware systems. This curtain and expandable rod are ideal for using in doorways that aren't the standard size like closets, laundry areas, pantries, store fronts or use as a room divider, photo backdrop or as a stage background display. The strands are silky smooth, simple to walk through and they won't tangle! 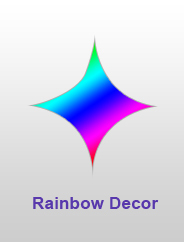 Easy to install, height and width adjustable for where you need it - let this impressive spectrum of colors brighten every minute of every day! I am in love with my radiant string curtain ! 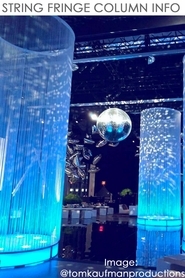 Walking through my radiant string curtain is like walking through a waterfall of color. ProsThe string curtain acts a permeable door for a room that needs light, but also allows those inside some privacy. ConsThe strings tangle sometimes, but it is fun to run my fingers through the silky strings to untangle them.